It's been a while since I've been to First Friday, but this month I was intrigued by Elizabeth Keithline's Smarter, Faster, Higher exhibition currently on view at Blue Star Contemporary Art Museum. 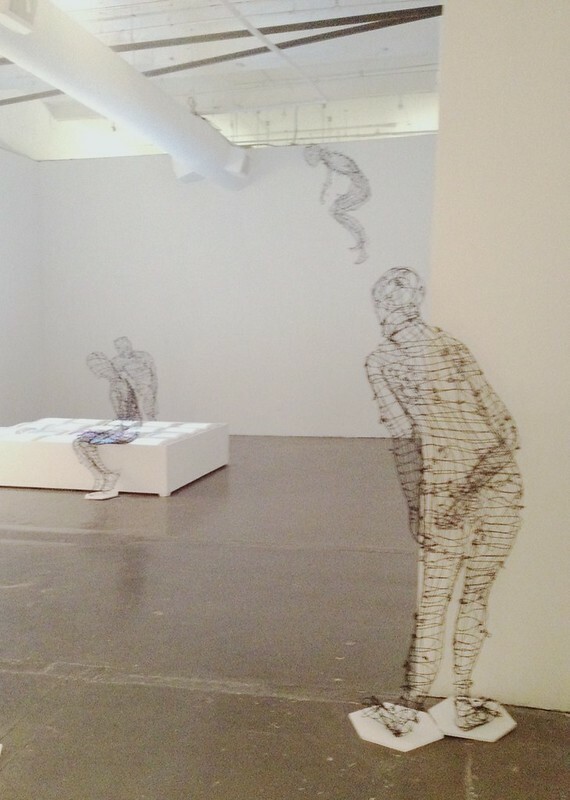 In this installation, Keithline's full-scale wire figures inhabit the gallery space. Some of the figures stand, others are curled up on the floor, and some crawl. There are two figures seated on the edge of the "pool" mesmerized by the images of figures, just like them, that are repeating on the screens. There is something about walking into the space that is unsettling, but playful at the same time. 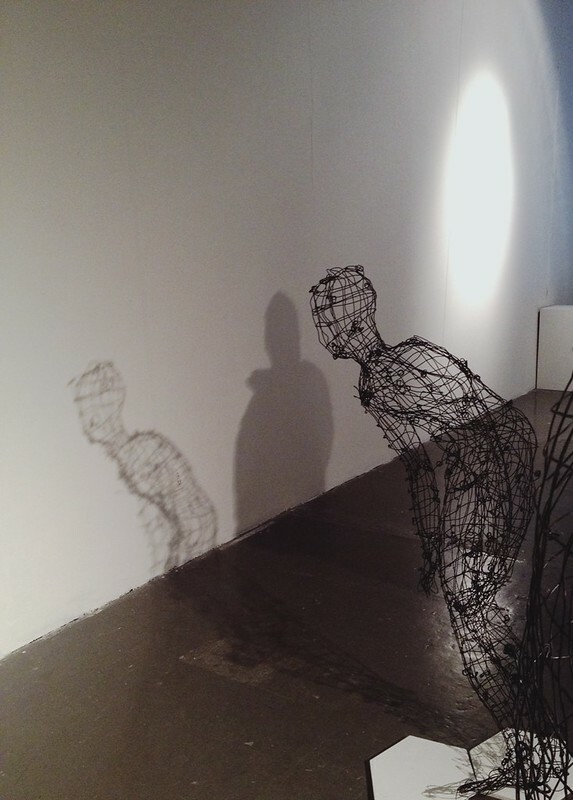 The figures are scattered throughout the stark white space and as you walk around, you interact with them and the eerie shadows they cast. 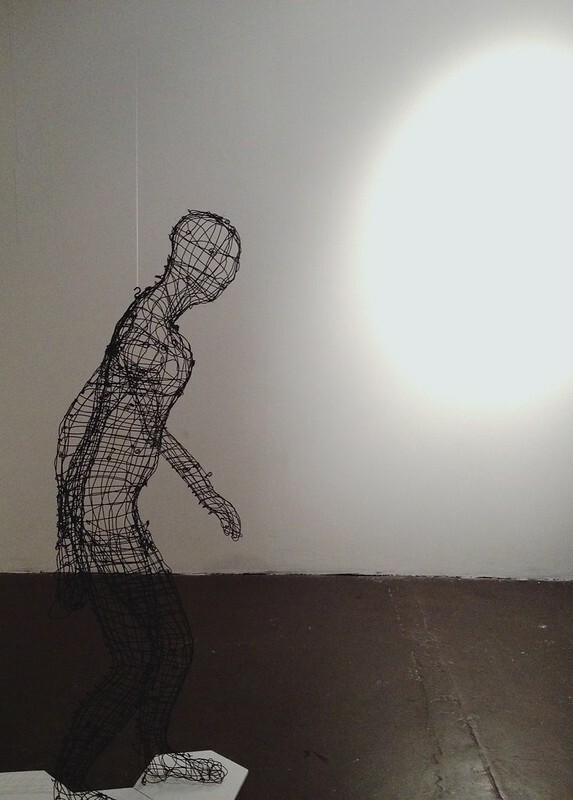 The figures remind me of the mannequins often depicted in Giorgio De Chirico's metaphysical paintings, and how these wire statues are also featureless, expressionless substitutes for a human presence. With this installation, Keithline explores the idea that technology, just like nature, evolves through repetition, constantly striving to become "smarter, faster, higher." 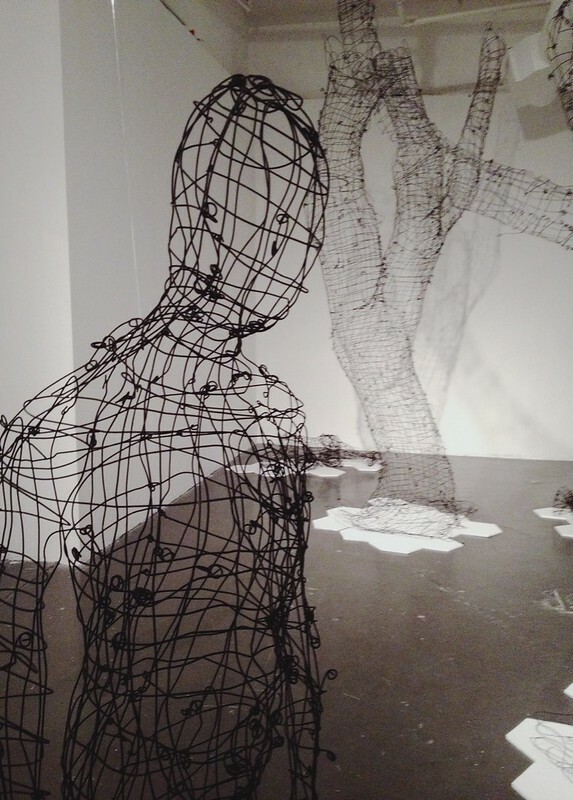 This comes across in the way the figures are arranged in the room, with the less evolved figures - those that are curled up on the floor, crawling, or crouching - gathered amongst the wire trees. Whereas, figures that run, float in the air, or sit in contemplation of their own image, are set on the opposite side of the space, more isolated and distracted than the others.